For years, the common refrain has been that without 8 hours of sleep on a regular basis then you will be a wrinkly old broad that could keel over at any moment. Okay, maybe that’s a bit dramatic but really, I don’t know many women (or anyone for that matter) that get 8 hours of sleep every night especially here in NYC. Getting that magic number of zzzz’s has been identified as the key to youth and health, even if that is an unrealistic goal for many of us. This is not to say that we need to be obsessive-compulsive about getting exactly 6 hours of sleep each night, or that if you sleep 7 hours your life will be dramatically cut short. But I agree with the researchers who assert that these findings can help women relax about the amount of sleep they are receiving. About 5 minutes before I found this article, I was watching a commercial for some pill guaranteed to give you 8 hours of restful sleep with some “doctor” talking about how you can’t make up for lost sleep by sleeping longer on the weekends. I started to stress out…which is not helping my longevity. This is important for women because we are often multi-tasking: working one or more jobs, heading households, raising our children and others, being a caretaker for family and friends…the list goes on. Self-care often ends up being low on our list of priorities, and then we feel terrible that we aren’t taking care of ourselves. Worrying about how lack of sleep affecting our health can only have one result: making us sick. It’s a feminist truism that women can just just as sexist as men. After all, we all live under the patriarchy so none of us can claim immunity to unconscious gender bias. We’ve all been socialized since birth to view men as a little better — especially a little more authoritative. There are countless books and dramas written about presidential campaigns and television shows looking behind the scenes at the wheeling and dealing of members of Congress, but for many the judicial branch remains shrouded in mystery. This is unfortunate since the decisions that come to this Nation’s highest courts significantly impact all of our lives. This was made incredibly obvious this week as the Supreme Court considered a case that will make a huge impact on the lives of Native Women and Native Youth. I think most of us probably don’t need academic research to know there’s a double standard when it comes to how men’s and women’s expressions of anger are received. 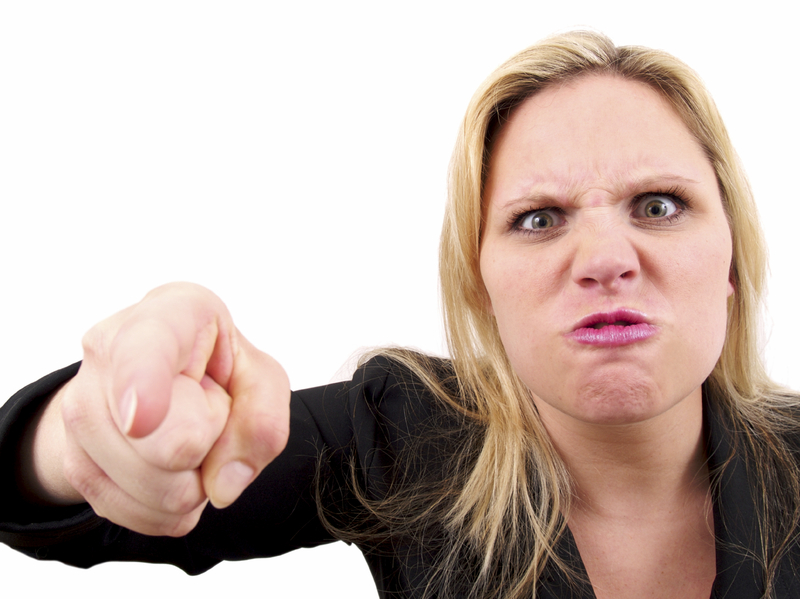 But a new study confirms it: anger tends to bolster men’s authority while undermining women’s. Angry men are strong and forceful, while angry women are often dismissed as overly emotional. That double standard has been alleged for years now, with plenty of anecdotal evidence to back it up.